If I might, perhaps, offer a piece of well meaning criticism to the Weekly Shonen Jump team at Viz? This may not bother many other people, but it does bother me when it takes longer than it should to figure out which series comes in which order while putting this column together. The layout of the contents page is very nice, as far as just the looks are concerned. But functionally it has terrible flow. Meaning, I can’t tell which series comes next just by allowing my eyes to flow from one to the next. I actually have to take a second and check the page numbers. Part of the purpose of the table of contents is to actually let the reader know what order the chapters are in. And while many weeks you achieve some form of flow that makes sense, what you’ve given us this week, and a few other weeks as well, is harder to decipher than it should be. Just putting that out there, the design could use a bit of work. Now, let’s talk about the manga itself. I absolutely love One Piece this week. Even though I (and probably everyone else) saw Luffy’s gag coming a mile away, it still managed to get a broadside in on us. Or at least that’s what it did for me. I was in hysterics by the end of the chapter. Not only was this chapter funny, but it also promises something we’ve never seen before, namely, Luffy fighting without using his powers. Since he has to keep a low profile, he won’t be able to use his powers. It’ll be worth the tournament arc just to see him fight normally. Of course he’ll end up giving himself away; the question is how long will it take? And the answer is, it will be unexpected when it does happen. Because somehow Oda can do that. What he’s going to do will be obvious, and yet the impact will be as strong as if it were a complete surprise. 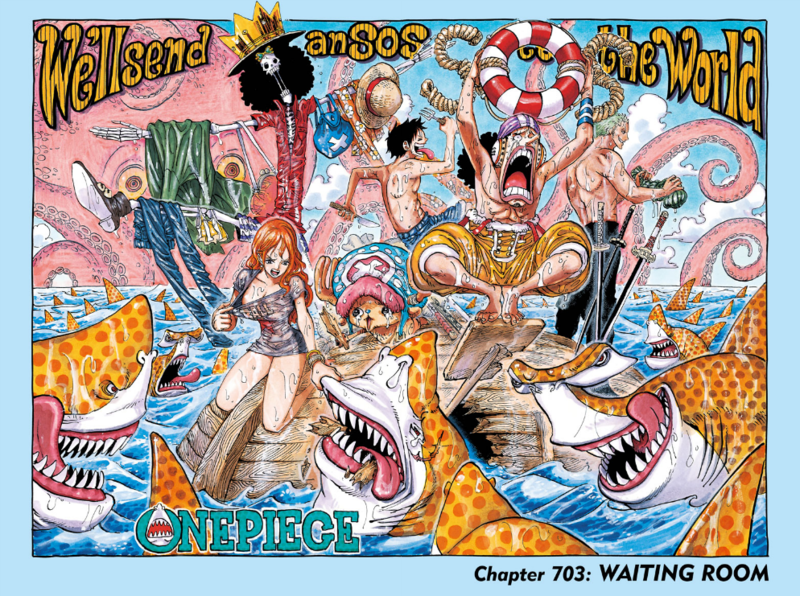 I’m looking forward to seeing what Oda does with the Hans Christian Andersen references this arc, and particularly what the role of the toy soldier will be. And whatever Sanji is getting into—whether he gets lucky or just gets stabbed—I’m looking forward to seeing how all these separate elements tie together. Random fanservice aside (and I mean really random), I quite liked this one-shot. I wonder what exactly the purpose was in putting it into our edition of WSJ. 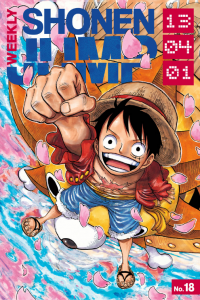 It’s either an experiment to see whether one-shots work well in this format, or it’s because there is a strong push for this to become a series, and the main Shonen Jump offices want as much exposure for the story as possible. I find it interesting how many new series are all romance series. 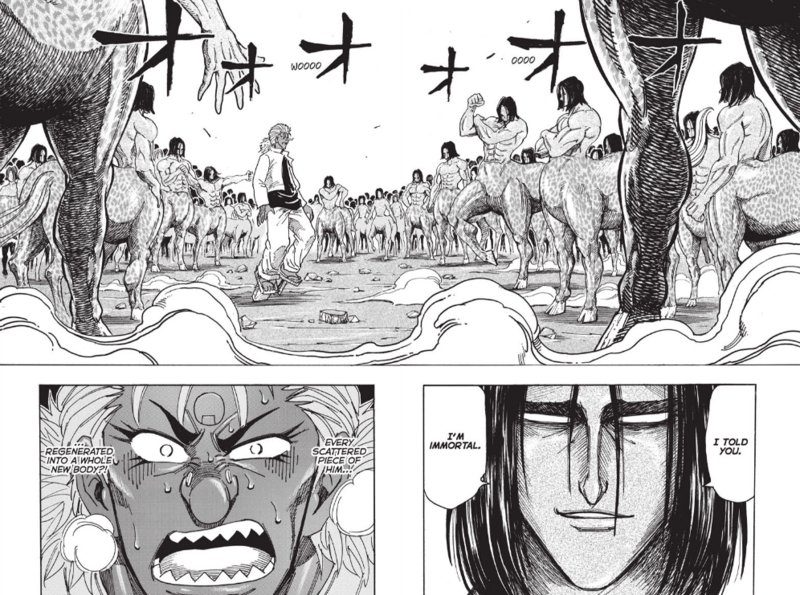 It’s as if aspiring manga artists are afraid of going against the big three (four if you count Toriko) action series. Does this mean we won’t get a new big shounen hit until after the big three have finished? I certainly hope not, I like shounen action series. And while I’m perfectly happy reading romance series, I would still like to see some more action series. Speaking of action series, nothing like an action-centric episode involving a character we only just met a few months ago, and an antagonist we never met. But somehow Shimabukuro makes it work. Brunch has been a great character ever since his introduction, and I love how his lightning powers are supposed to work in the natural world. That’s what’s great about Toriko; it takes abilities that occur in nature, and amps them up to the nth degree. Though I am a bit miffed that Shimabukuro used the power I thought up years ago for my X-Men O.C. I’ll sue! (This is a joke, I won’t actually sue, Shueisha lawyers that may be reading). Nonetheless, Brunch is fun, his opponent is OP as heck, and I look forward to seeing how this fight turns out. That’s it! I’m getting those buttons made. “Tobirama was right,” is my new catchphrase. I really enjoyed Hashirama when he first was introduced. But literally every single decision he made was the wrong decision. He wanted to make Madara the Hokage. I’m sure that would have turned out swimmingly—it’s not like his entire family is emotionally unstable. And even in this chapter alone, we find out that he’s so emotionally unstable that he turns evil because Tobirama says the leader should be chosen democratically and that everyone would choose Hashirama. I’m so glad that the ultimate villain of the series turned evil because he lost a popularity contest! Somehow Naoshi manages to combine comedy with drama in the same chapter. The pattern that I’ve noticed is that he’ll go with comedy for a few chapters, and then he’ll end a chapter with a dramatic question. In this case the question in…question is in regards to who Chitoge likes. This is a big deal because it’s Onodera asking the question. While we all know that Chitoge is the main romantic interest, Naoshi manages to keep the stakes high for the other girls. Chitoge’s answer to Onodera’s question will most definitely set the course for the rest of the series. Hopefully Naoshi manages to find a way to keep it going without dragging the plot out unnecessarily. Which wouldn’t be too hard, since he could keep filling in the gaps with comedic chapters, but he seems to be moving the plot along much faster than I would have expected initially. Still, I’ve enjoyed this series greatly, so I will have faith in Naoshi for the rest of the series. I enjoyed this chapter well enough. We finally get an explanation for how Osamu got his arm back. But by now I’d already figured the basic idea out. It seems like Ashihara is answering questions that most readers have already figured out. Which says some iffy things about the pacing of this series. I’d have to say, it’s been going far too slowly. Pacing in manga is a tricky beast. Even long serialized pros sometimes have a hard time getting it right. And while we had some good action this chapter, overall I’m still lukewarm. I really enjoyed the first chapter, but right now I can’t say I’m too excited. Action is all good and fine, and I want more action, but it needs something a little more for me to really get into it. Cross Manage continues to give us a lot more focus on the characters, in this case the current antagonist Chihara. Since Cross Manage is set in a version of the real world, Chihara is refreshingly not some kind of cookie cutter antagonist. She’s the kind you find in real life. She’s not there to ruin the protagonist’s life; she’s just there, doing her own thing, and just happens to be an opponent for the protagonist. She manages to be the opponent without actually being evil. While this is refreshing, it does leave little to the imagination as to what her fate will be. She’ll lose, she’ll learn something, then she’ll become a friend. But at least she’d be that type of character without going further than would be realistically forgivable. Also, Toyoguchi makes some terrifying faces when she’s happy. I grew up in Germany. I speak German, though it’s a bit rusty at the moment. So it drives me crazy seeing Kubo make some pretty basic grammatical errors (or just plain make up words). And I know that he likes Germany—his notes have been talking about the trip to Germany he took. But still, it’s one of those little things that is driving me up the wall. Also, Ryuuken starts talking about “mixed breeds” and all that. Man, the Germans can’t catch a break even from their old allies. Overall, an enjoyable enough chapter, though I find the random soul reaper worried about jurisdictions while Isshin is fighting the unknown hollow to be absolutely laughable. I’m pretty sure jurisdictions aren’t that important in the middle of combat. And then Aizen shows up and attacks Isshin. Can we please have an arc where he doesn’t come back as the villain? All goodwill from his reveal at the end of the Soul Society arc was wasted with the Fake Karakura Town arc. And thus, Goku begins his cycle of death and rebirth. I don’t find there’s much I can say about this chapter. Mostly because this isn’t a brand new chapter for me. I’ve watched the anime, and read the manga ages ago. So all I can really say is that this current arc is definitely one of my favorites of the Dragon Ball manga. 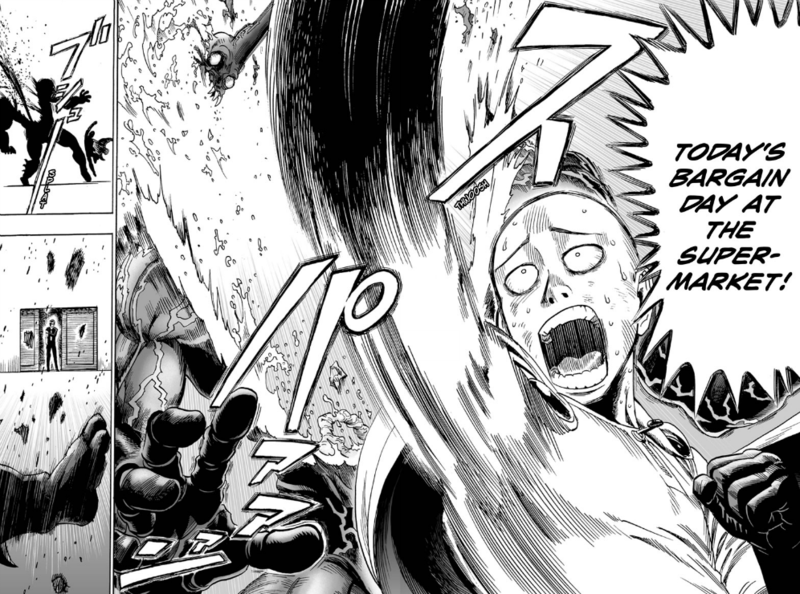 I think as far as shonen action series go it flows the best. The transition from Goku’s death to his training will be a lot of fun to read, but the individual chapters are a bit difficult to comment on. While good, they tend to lack in substance. Once again, the same basic joke, supplemented by a new twist. I just…I really just love this manga. It’s the funniest manga running in WSJ online, with Nisekoi being a close tie. And yet, we somehow still rely on the same basic premise and the same basic gag. Fortunately there was plenty to enjoy this chapter, beyond just the buildup for the final joke. If you want to hear more, check out the Manga^3 Podcast Archives. Or go directly to last week’s episode, Episode 041 – March 25, 2013 – Manga Art Styles | Toriko Vol. 3.